Georgia has 13 grounds for divorce; as a no-fault divorce state, the ground of "irretrievably broken" is most often used and the one that doesn't fault either party. The other 12 grounds include desertion, adultery and mental illness among others. 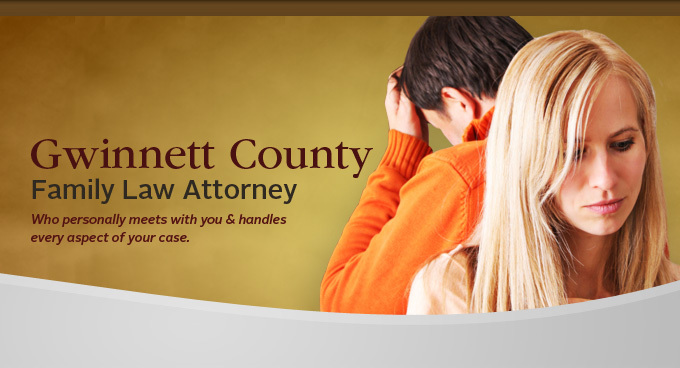 We invite you to contact an experienced Lawrenceville divorce attorney from T he Law Office of Robert L. Booker for more information about divorce and how we may be able to help you. Family law is very complex and people who try to represent themselves in court are treated as if they know all the rules of civil proceedings, thereby getting themselves confused or not by knowing their rights, agreeing to things that they would not have agreed to beforehand. Hiring a divorce attorney gives an individual a much better chance of getting the best possible results to their case and ensuring that their rights are protected. Who decides what happens to the children? The judge, concerned foremost with the best interests of the children, looks at numerous factors and decides which parent is best suited to become primary custodian. Child support issues are also decided as well as visitation by the noncustodial parent. How is it determined if either spouse gets alimony? Spousal support/alimony is determined by the court on a case-by-case basis. The judge takes into account such factors as whether one spouse makes a disproportionate amount of money compared to the other and whether one spouse has been out of the labor force for a considerable period of time. What is the time frame before a divorce is granted? If the issues in the divorce have been agreed to, the Final Judgment and Decree of Divorce may be granted 31 days after the defendant has been served with the Complaint. If the divorce is contested, the final decree is granted when the case returns to court, which may take months. Can I change my name at the time of my divorce? If a woman wants her maiden name returned to her, she needs to have language to that effect included in the Final Judgment and Decree of Divorce. Please contact a Lawrenceville divorce lawyer at The Law Office of Robert L. Booker if you have more questions regarding divorce.